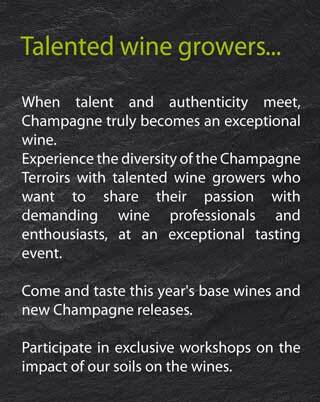 Find the richness of the Terroirs de Champagne through winemakers who want to share their passion... This year,meeting Hôtel de Ville in Reims. Sunday, 14 April 2019, from 10h-18h. This year,meeting City Hall (Hôtel de Ville) in REIMS. 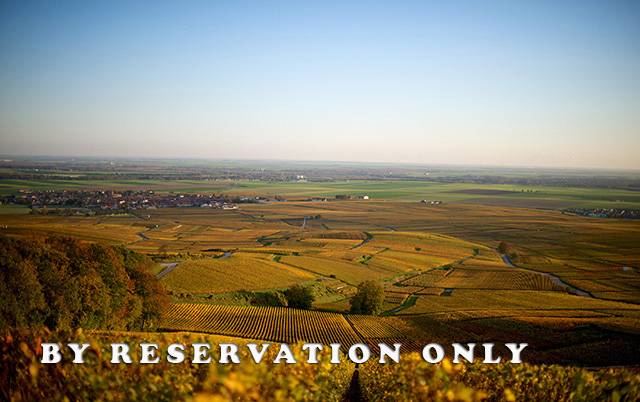 To better accommodate you on Reims, the restaurant RACINE will be open. 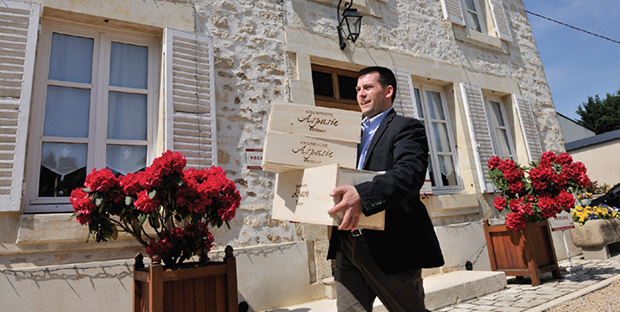 Passed down from generation to generation, Paul-Vincent Ariston is following two centuries of wine making which dates back to a legal act from January 13th, 1794. For 5 generations, the family has been perfecting the Art of Champagne-making, mixing modernity with respect of skill and knowledge. 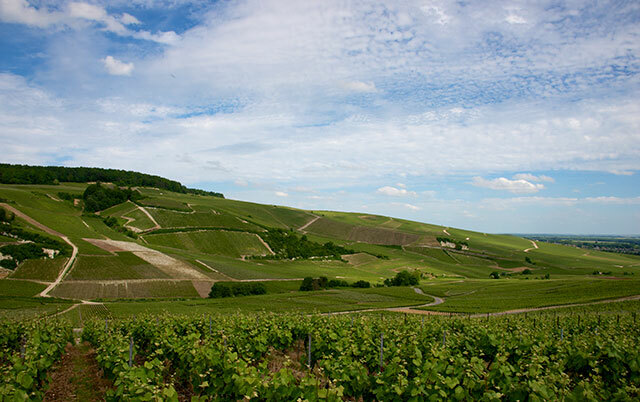 The Aspasie estate is 12 hectares of the three grapes varieties needed to produce Champagne. 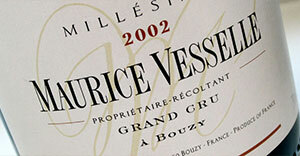 The older vines, at 35 years, dominate the site and give the best quality fruit. 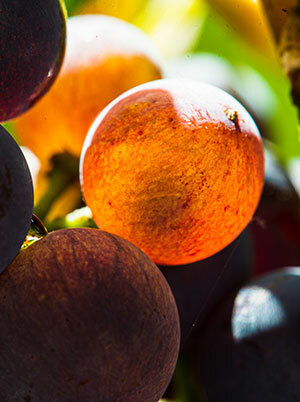 Since the beginning, in 1794, the family has worked together to harvest and gently press the grapes in their own cellars before blending them to obtain the balance and finesse that is Aspasie. 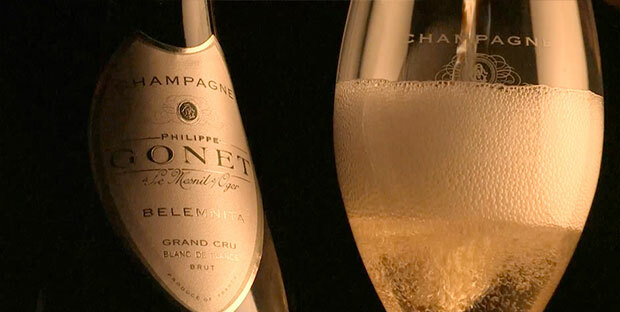 Named in honor of one of the family ancestors, the Aspasie Champagne was especially created for the third Millenium. 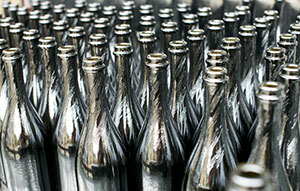 Resulting from traditional wine making “savoir-faire”, Champagne Aspasie are carefully selected. 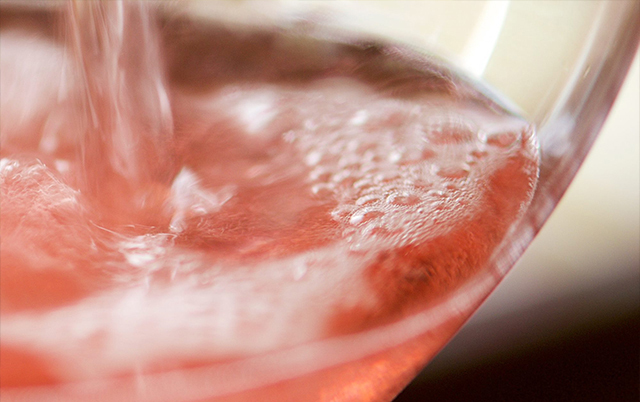 Through their delicate bubbles and complex aroma, they reflect exigency and patience needed to produce great wines. 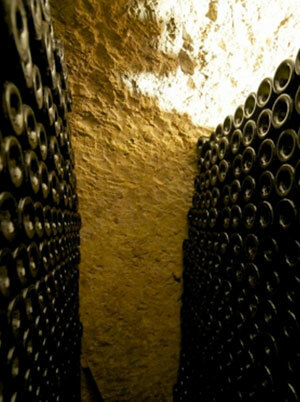 Our Champagne is make in the tradition. Our champagne has the characteristic of one terroir, and the guaranty of a traceability of the Champagne Maxime Blin between the vines to the selling. Fourth generation in a long line of wine-growers. 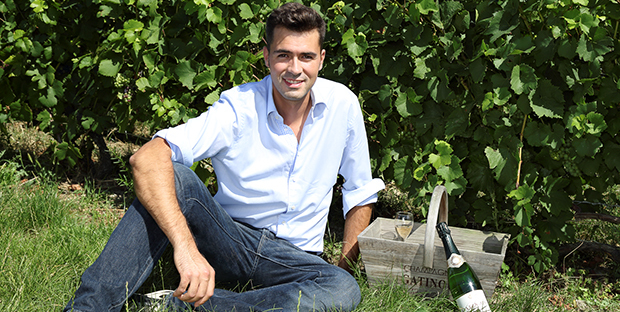 Maxime Blin, young viticulturist who loves the land and the wine, vinifies his champagne on the family estate of 12 Ha. 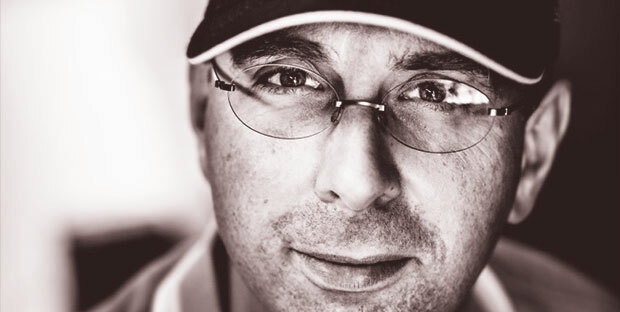 Located in Trigny, in the heart of the Massif de Staint Thierry about 10 Km of Reims, he grows the three Champagne Grape Varieties, Pinot Noir, Pinot Meunier, Chardonnay, on vines which have an average age of 20 years. With passion and authenticity, from working on the land through shipping the bottles The domaine produce around 100 000 bottles per year, and we are selling on Japan, Brazil, Togo, Benin, Singapore. 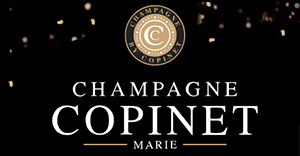 We have create a lable young and luxury for have a good dynamic for the Champagne Maxime Blin. I want to be a guarantor of quality wine recognized through various competitions: We have received 4 medal in 2013, and more between 2010. For the Cuvée Maxime Blin, Gold Medal at the International Competition of wine Brussels 2010 Silver Medal at the International Wine Challenge 2011 Bronze Medal at the Challenge International des Vin 2013 Gold Medal at the Concours Mondial de Bruxelles 2013 For Carte Blanche Brut Gold Medal at the Concours des Vignerons Independants 2011 Publication of the Guide Hachette 2011 Bronze Medal at the Concours Général Agricole de Paris 2012 Gold Medal Wine competition Property Epernay 2012 Guide Hachette 2013 Silver Medal at the Concours Mondial de Bruxelles 2013 For the Brut Rosé: Silver Medal at the Concours des Vignerons Independants 2011 Bronze Medal at the Challenge International des Vin 2013 For the 2002 vintage: Two Stars in the Guide Hachette 2011 Gold Medal at the Concours Général Agricole de Paris 2012 You find on our site www.champagne-maxim-blin.com all the information about the Domaine Maxime Blin, and on Facebook Maxime Blin for have the live of the domaine. 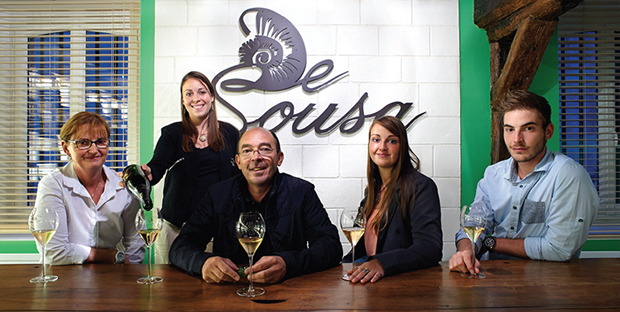 Since my family has owned vineyards in Ville-sur-Arce for 5 generations it was only natural that I decided to establish my own champagne house in 2006. We plough the soil under the vines to encourage the roots to delve deep into the ground and we grow grass between the rows in order to control the growth of the vines. All my champagnes come from a single region, La Côte des Bars, from a single plot called LARGILLIER (owned exclusively by my family) and from a single grape variety: Pinot Noir. In 2011 we undertook a number of excavations in Largillier and we discovered that the soil in this vineyard that is so dear to us, is a type called Kimmeridgian Marl. The soil, the sub soil and even the exposure, down to the very last detail, are exactly the same as in the very best areas of Chablis. 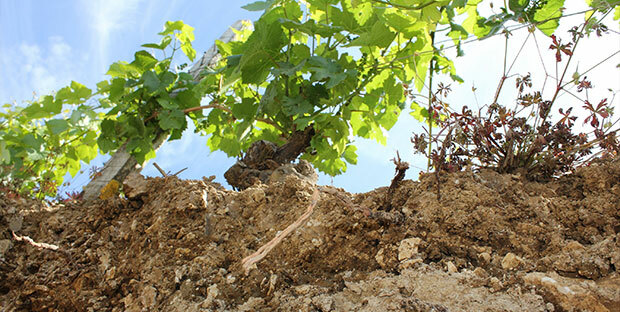 The soil is made up of alternate layers of clay (which gives structure and body to the ‘attack’ on the palate) and layers of chalk from which the roots of the vines can draw their minerality (which accounts for the long finish of the wines). In more general terms, the soil in Largillier is a chalk and clay mix which is not very fertile and which restricts the energy and the development of the vines; as a result the grapes that are produced attain a high level of maturity with all the qualities to make a great wine. A taste that’s the pure expression of the soil it springs from. Come and discover it for yourself! 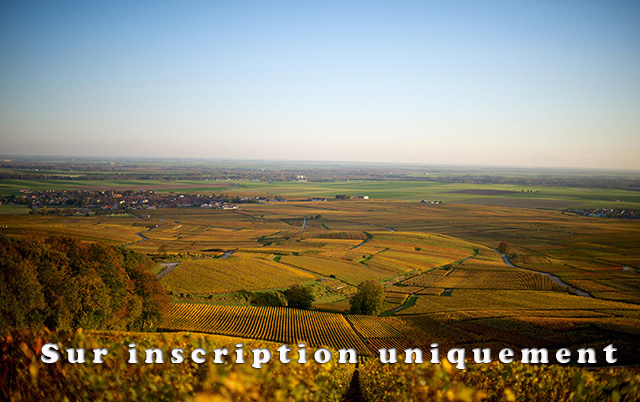 In the middle of the Marne Valley, in the miniscule village of Montgenost, is the estate of our domain. 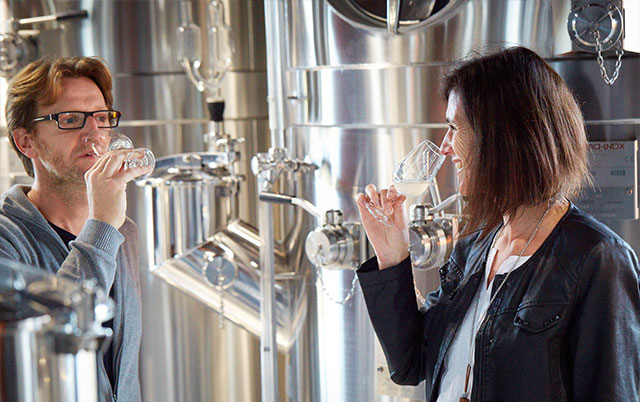 Lineage Winegrowers, Marie-Laure and Alexandre elaborate their Champagnes mainly of Chardonnay. 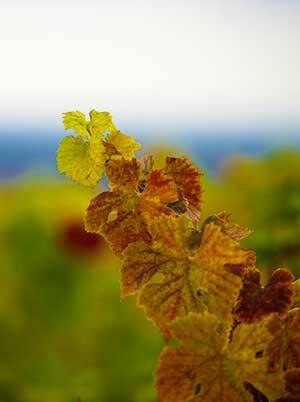 With the seasons, they have the desire to respect the terroir, the environment, to respect life and quality. 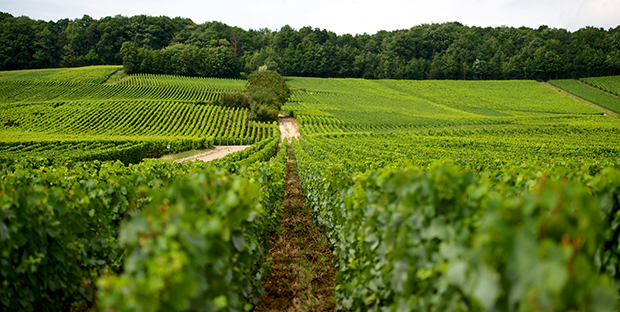 With our vineyard with chalk on the surface, we produce Champagnes filled with minerality and elegance. Our passion, our lives are motivated by the pleasure to make your pleasure. See you soon, luck to you receive. 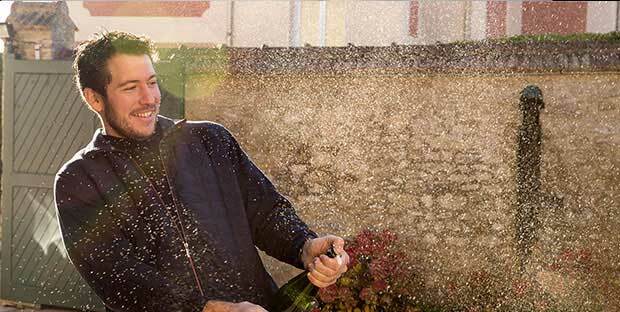 He has set up his business in Avize, at the heart of Côte de Blancs, one of the four great areas of the Champagne region in the south of Epernay. The vineyard is located on the greatest classified Grands Crus terroirs of Chardonnay : Avize, Oger, Cramant, Le Mesnil sur Oger. 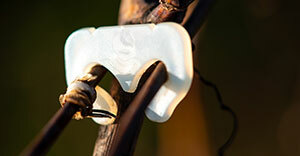 The certification HVE (high environmental value) is a first recognition in this direction, and sustainable viticulture naturally followed this path (certified 2016) The reintroduction of bees with installation of hives, zero insecticides, zero herbicides, use of organic fertilizer, and in-row weeding and grassing of the vineyard rows are our house techniques. The vineyard, a pioneer in Champagne, was equipped with 54 m2 of photovoltaic panels. With this installation, the operation produces 20% of its electricity consumption. And it also reduced its water consumption by 20% thanks to the recovery of rainwater. Pierre vinifies and ages his wines in stainless steel tanks but mainly in Champagne barrels of 205 litres and 34 hl oak barrels, with reserve wines from over 40 different years: a real art! It would be a great pleasure to welcome you to our estate to propose you a private tour of our press, wineries, traditional cellars in chalk from the 17th century and our new cellar and vat room... do not hesitate to contact us to arrange an indispensable appointment. 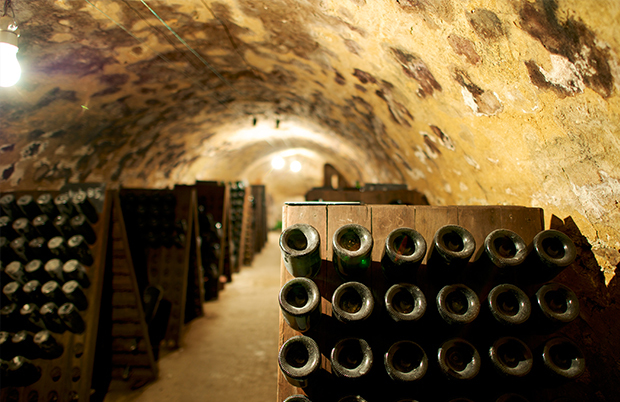 The house has lot’s of history behind it from the constant research of Champagne traditions that have passed through the years. 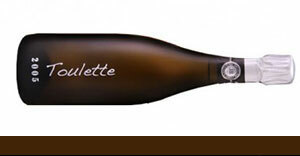 Today Fallet-Dart still continue these traditions to offer a champagne thats authentic and has character. The Fallet-Dart family always aim to give a high standerd of professional service to customers and pay careful attention to each customers needs to ensure that they have complete satisfaction. The family have a high level of respect for keeping the tradition of the business and there constant research makes for exceptional quality of their produce. As we are independent winegrower’s, we feel it’s a privalige to be able to produce our wine from the comfort of our own home, as we say ’’from the vine to the wine’’. Fallet-Dart belongs to the "récoltant manipulant" (RM on the label), which means the House makes wine from its own grapes. In 2004, Fallet-Dart received the Prize for Excellence at ’’Concours Général Agricole’’ in PARIS. This competition has been awarding the best producers for their constant quality and excellence of their results at ’’Concours General Agricole" for the past five years. Personality of a terroir, personalities of a wine growers’ family, personality of my champagnes, a long family story at the heart of the terroir of Aÿ. 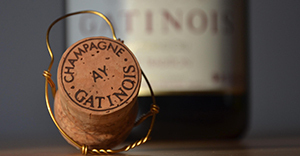 Champagne Gatinois is first of all the story of a wine growers' family settled in the ancient village of Aÿ. Twelve generations which followed one another and have helped give our family estate its soul, its style, its name. It is the story of a domaine, tended like a garden, located in the heart of the fabulous hillsides of Aÿ. 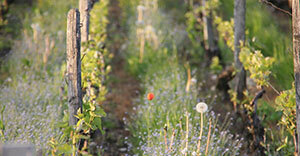 Plots of land where the Pinot Noir is the Lord and offers us the finesse and the strength so typical of this Grand Cru. It is the story of Champagnes with their own strong personality, developed with the will to let express the unique style of our terroir. It is me, Louis, who have the honor to pursue this family story and took back the estate since 2010. From the vine to the champagne flute, every stage is carefully mastered and guided by respect and attention: respect for the Terroir and its environment, for the grapes, for the wines. 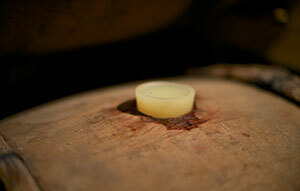 Vinifications are slowly led, they leave time to the wines to become alive. My will is to care and protect the quality, while remaining the most discreet possible to let the Terroir express itself. 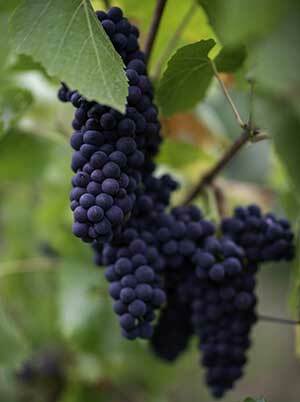 The Pinot Noir, accompanied with a touch of Chardonnay, is at the heart of my blends. I shall be happy to share with you the soul of our house through my champagnes. 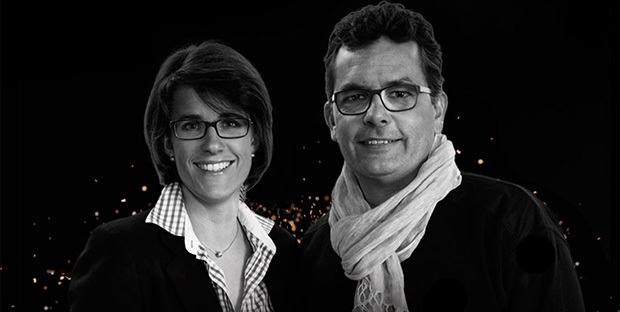 Pierre and Chantal Gonet brother and sister: the terroir and the world. 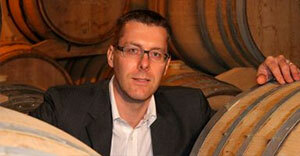 He is all about creating wines and she proudly distributes them around the globe. Subtly complementary, they share the same steadfast and intangible principles: the precious guardians of quality, handed down by their forefa- thers along the road of passing time. 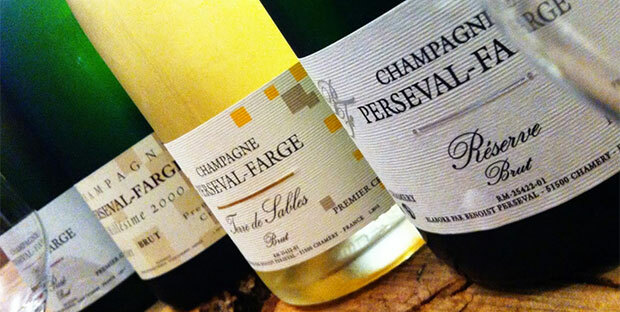 This heritage produces champagnes that ally strength and delicacy with a distinct and defined stature. 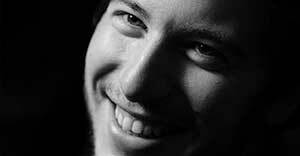 At the summit of finesse, they are aesthetic objects, objects of beauty. In the dim light of the intimate cellars, bottles lay their sensually curved shoulders against the chalk that brings them to life. For several years they have been practising lutte raisonnée, basically using the bare minimum of chemicals... .
Janisson-Baradon, a small grower from Épernay established in 1922 by George Baradon (a remueur) and his son-in-law (a cooper). 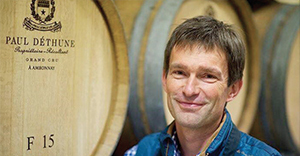 Five generations later, and now directed by Maxence (principal winemaker) and Cyril Janisson, they have 9ha of vineyards which encircle Epernay (Champagne’s capital) to the west, in the Massif St. Thierry, and with the remainder in Chouilly (this latter forming the base for a Grand Cru Chardonnay which they produce). 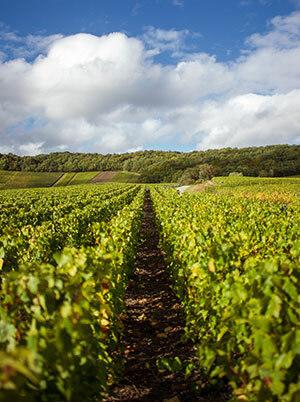 For several years they have been practising lutte raisonnée, basically using the bare minimum of chemicals in their vineyards and grassing over between vine rows, for example, to maintain soil integrity as much as possible, a practise that has becoming increasingly common in Champagne. 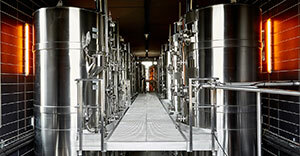 Vinification is a mix of steel and wood with malolactic fermentation for the non-vintage cuvées and 100% wood (old Burgundy barrels, 3-18 years old) with no malolactic performed for the vintages. They are also experimenting with cement egg fermentation, of which they have two. All the wines are characterised by long lees ageing and 6 months minimum resting period between disgorgement and release. 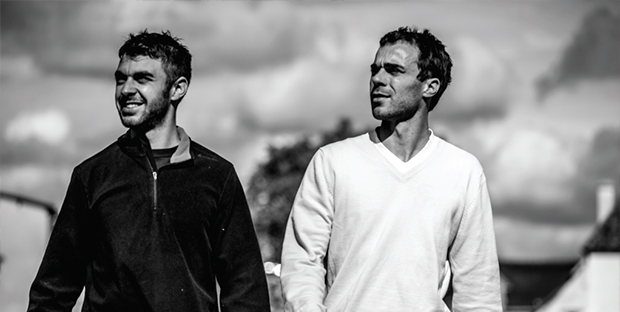 Winemakers to Ecueil since 4 generations.Our purpose, sublimate our terroir. 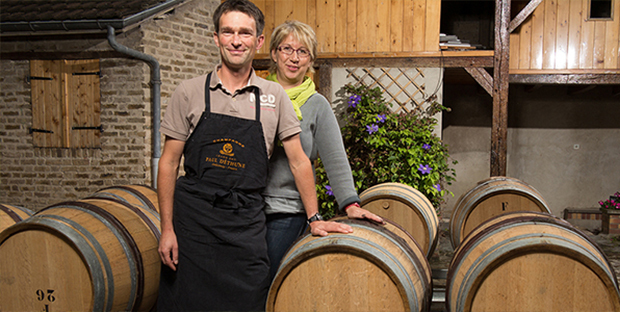 … since they took over the family domaine in 2007, Géraldine & Richard have been aiming at exalting their terroir in order to extract outstanding grapes, prerequisite for great wines! They will welcome you in Ecueil, land of Pinot Noir, on the Montagne de Reims where 95% of their vineyard is planted. You will discover brand new premises combining modernity and tradition and will enjoy their Premier Cru Champagnes! 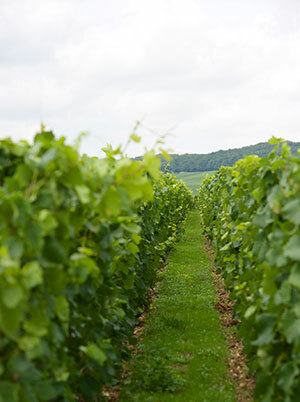 Our world class, Terroir-focused Champagnes, are made exclusively with sustainably grown grapes from our 6ha Grand Cru vineyards of Verzy and Verzenay. A unique style, which combines character, minerality, and an outstanding purity, enhanced by zero or a very low dosage, perfect for pairing with the finest dishes. 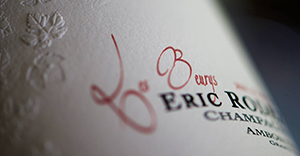 Our label design is refined and sensual, a perfect match for our authentic and vibrant brand. Setting a new standard in luxury Champagne. Watching, touching and smelling the earth ; this is the key to producing joyful wines ! 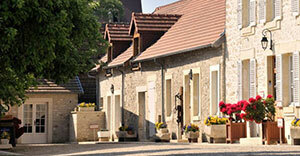 Chamery, Premier cru village in the heart of the Montagne de Reims , is more than just a pretty place ! 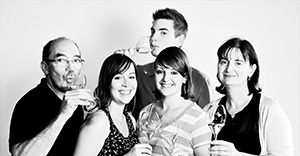 Our family, which has always been passionate about wine, has been based here since the start of the 18th century. 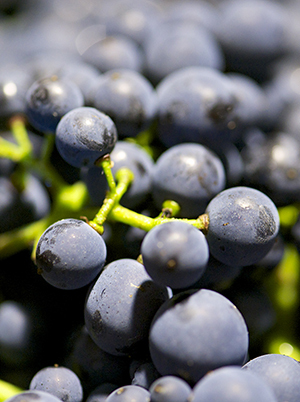 As of 1990 we have been committed to achieving the highest standards of integrated viticulture. 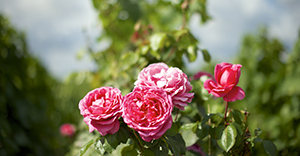 Our philosophy is to respect the environment and to be actively involved in sustainable development. We strongly believe that our industry must respect the land that we live on so that future generations may continue to do so. This is our mission in life. 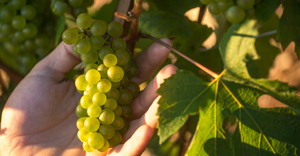 Our vineyard covering 4 hectares is mainly planted with the classical chardonnay, pinot noir and pinot meunier grapes but also with newer plantations: pinot gris or fromentot, petit meslier and arbanne to enhance the older grape varieties. The diversity of our vines offers a wide sensory range. 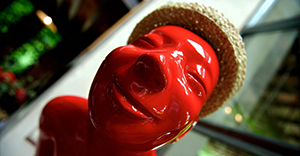 We are proud of our heritage which revives memories and encourages curiousity. 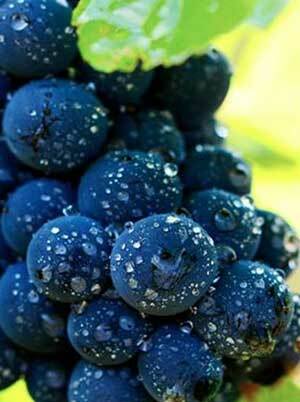 This allows us to create wines blended with grape varieties from both today and yesterday. 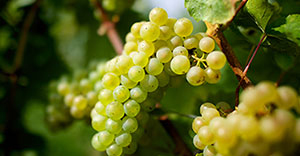 The Champagne region produces endless variations and each characteristic must be taken into account as they influence the grape typicity and the champagne. 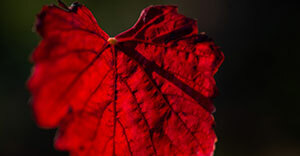 We develop regional wines with character and try to produce rich and masterfully blended wines. Magic is the art of winegrower, Magic of the odors, Magic for the waltz of the seasons, Magic of the meetings, ... .
For nearly three centuries, the land of Champagne carves our family over the course of generations. Sometimes mason, sometimes carpenter-cabinetmaker, very early we tied ourselves to the vine. Respect for our vines is an everyday concern and we try to glean all techniques, all tracks to a greater respect for our vineyard, encouraging natural balance(herbal medicine, aromatherapy, ...) in compliance with organic production rules. It is useless to try to boost the vine, it is useless to try to replace Mother Nature, it is often sufficient to simply use common sense. This common sense that our ancestors have used and sometimes abused to give birth to this land where we have the opportunity and pleasure of working to produce, but more importantly, over-produce. The quality, the level of expression, the melody played by our Champagnes but also the level of pleasure and enjoyment depend on your taste buds. 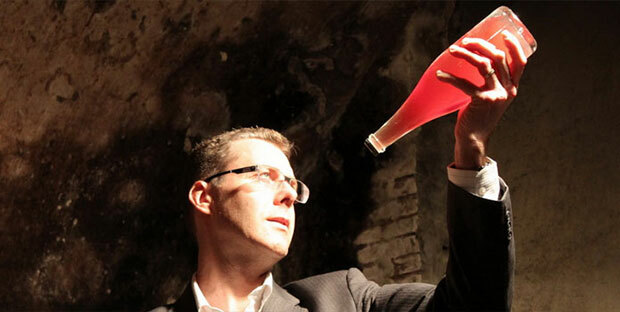 The Champagne Vazart-Coquart enchants the expert palaces for over 50 years... . 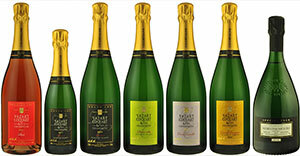 The Champagne Vazart-Coquart enchants the expert palaces for over 50 years. Jacques Vazart, following his parents Marie and Louis, decides in 1954 to begin the wine making of the fruit of their vineyards of Chardonnay. It is the beginning of the beautiful epic of the champagne Vazart-Coquart. The first historic cuvee is Brut Reserve. Will follow the vintage Grand Bouquet and the "Special Foie gras". 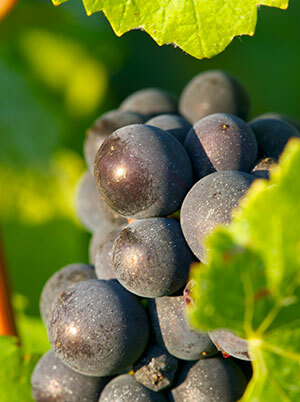 The Cuvée Camille was created in homage to the grandparents of Jacques Vazart (their both first-names were "Camille"). 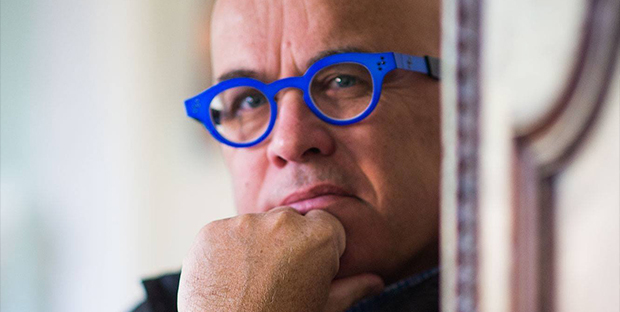 In 1991, Jean-Pierre Vazart, after his wine-making studies, joins his father on the domain. In 1996, Jean-Pierre enters in the prestigious « Club Trésors de Champagne » and today, the cuvee "Special Club" is the Prestige vintage of the domain. 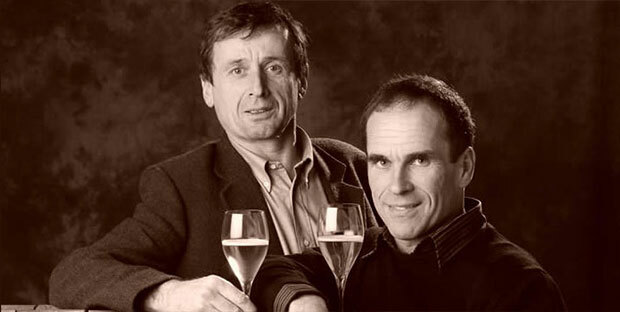 In 2006, Jacques Vazart passed away, leaving the reins to his son Jean-Pierre who since manages successfully the Champagne Vazart-Coquart, surrounded with his professionals' team. 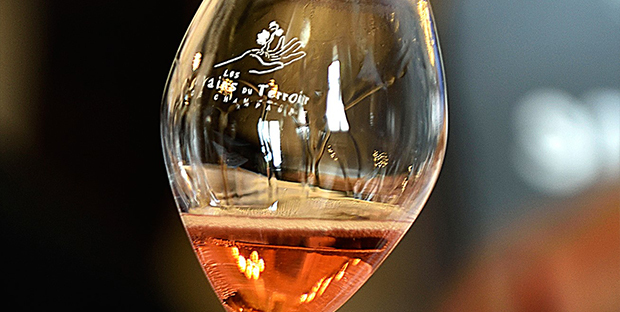 In 2012 is created "Terroirs et Talents de Champagne", a group of winemakers of exceptions, that want to show their works to the amateurs and to the professionals. Quite naturally, Vazart-Coquart is part of founders. 2013 sees arriving the new labels, modern and colored for the 7 bottles of the domain, and 2014 will see arriving a new web site. 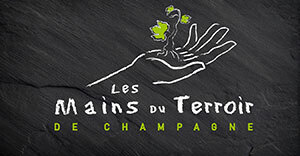 Welcome to "Les Mains du Terroir"
Three generations of champagne producers have worked these vineyards before Maurice Vesselle took the reins of the property in 1955. 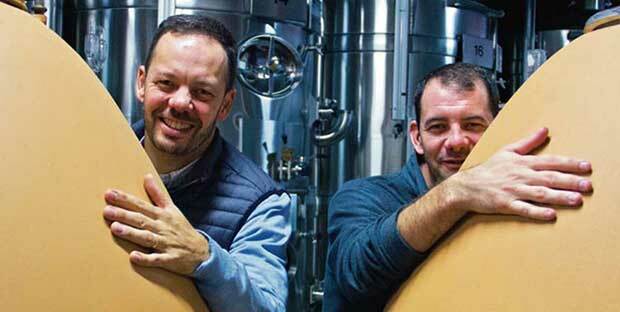 In recent years, his sons, Didier and Thierry Vesselle have assumed the operation, along with Madame Vesselle and have combined tradition and modern production methods." 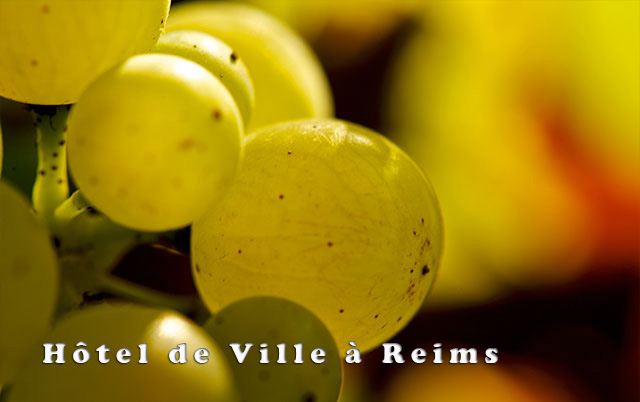 Situated on the south flank of the “Montagne de Reims”, a large thumb like plateau separating the city of Reims to the north and the Marne River Valley to the south, the vineyards of Maurice Vesselle, in Bouzy and Tours sur Marne, are 100% Grand Cru. With just a bit over 20 acres under vine, 85% is planted to Pinot noir and 15% to Chardonnay, with an average vine age of 35 years. 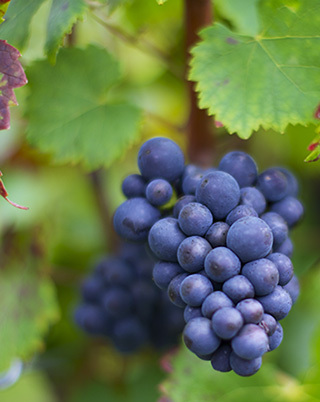 The grapes are harvested at the peak of their maturity and pressed gently, and quickly, and the heavy fines allowed to settle before fermentation at low temperature. Malolactic fermentation is not effected permitting the wines to keep their freshness and finesse during the years of ageing in the cellar. 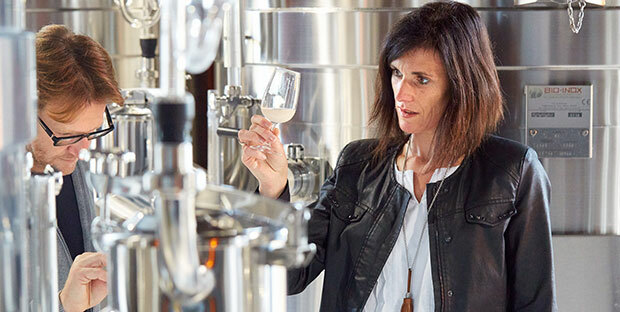 © 2013, Les Mains du Terroir de Champagne - L'abus d'alcool est dangereux pour la santé, consommez avec modération.